Fixler Farm LLC is owned and operated by David and Athena Averette of Medina, Ohio. 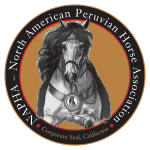 David and Athena have both grew up showing Peruvian horses and have had a passion for the them since childhood. The Averette’s are now focused on finding the best foundation mares possible to focus on their own select breeding program. They strive to produce quality, well gaited horses, that are both strong of body and mind. Their mission is to enjoy the horses as a family both in the show ring and trails. A few horses will be offered for sale from their select breeding program.